Gather up your family and head to one of these festive corn maze in southwest Missouri for a fun-filled day. The school year routine is starting to become old habit. Nights are full of homework, dinner and mismatched socks. Weekends are messy pancake mornings and more mismatched socks. There’s no doubt life is busy, but fall is a magical time of year. Make the most of the crisp weather and explore all things pumpkin and ghoul-like. Head to Rutledge-Wilson Farm Community Park for hours of family fun. Carnival games, a pick-your-own-pumpkin patch, hayrides and inflatables are just a handful of the activities. They even have a corn maze shaped like a sheep, so your little ones are bound to have a ball. Free park admission, attraction costs vary; Saturday 11 a.m.–6 p.m., Sunday noon–6 p.m., through October 25; Rutledge-Wilson Farm Community Park, 3825 W. Farm Road 146, Springfield. For more information, call 417-837-5949. From a pick-your-own pumpkin patch to a haunted corn maze, tons of fall fun is packed into one general admission cost. Campbell’s even offers karaoke, so you can belt out more than just a scream. Plus, you head home with porch decorations because kids ages 5 to 12 receive a free pumpkin to spruce up as they please. $9; Friday 5–11 p.m., Saturday noon–11 p.m., Sunday noon–7 p.m., month of October; Carob Road, Clever. For more information, call 417-830-0243 or visit campbellsmazedaze.com. For wholesome family time, head to Marshfield with a cooler full of s’mores ingredients. Make a reservation for a campfire and spend up to two hours cooking, telling stories and playing yard games. After you’ve filled up on fire-roasted treats, navigate the corn maze with up to 10 guests; it’s included in the campfire rate.Attraction costs vary; Friday 6–9 p.m., Saturday and Sunday 10 a.m.–9 p.m.; through October 31; Hampton Corn Maze, 6817 State Hwy 38, Marshfield. Call 417-859-4855 or visit hamptoncornmaze.com for more information. The newest hunting season just opened at The MAiZE and it’s not for deer—zombies are the prey this year. Hop on an army truck and prepare for battle at The MAiZE. Armed with glow-in-the-dark paintball guns, you participate in a real life video game and take down the zombies headed for you. But don’t worry, your brains are safe; the zombies can’t shoot back or invade the truck’s perimeter. 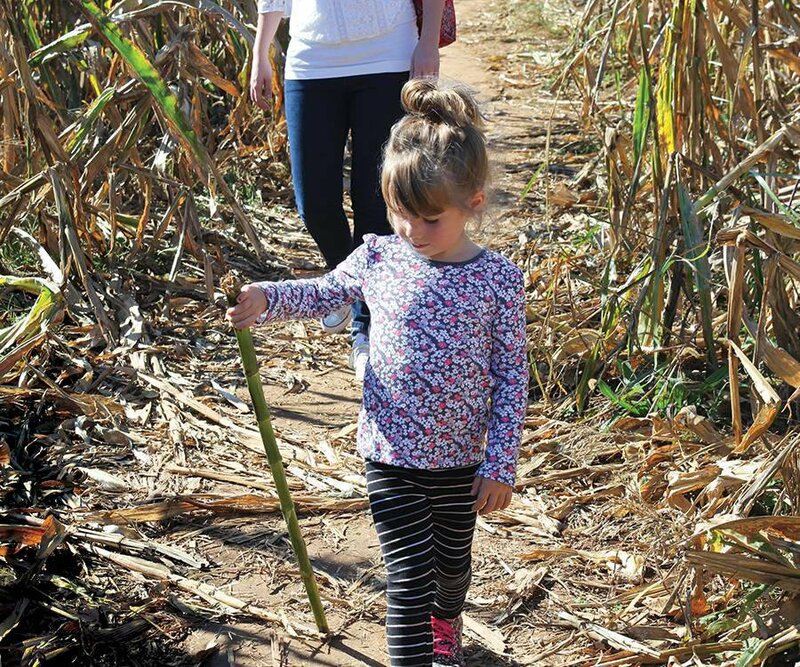 The MAiZE also offers other attractions for all ages, like a haunted corn maze, campfires, hayrides and even some snacks to keep your tummy full during your spooky night out. Attraction costs vary; Wednesday 5:30–8:30 p.m., Friday 5–10 p.m., Saturday 2–10 p.m., September 19–October 31; The MAiZE, 23298 Lawrence 1150, Verona. For more information, call 417-498-6071 or visit veronamaze.com. For tough teens and grown-ups, fall is all about getting scared, and maybe even doing a little scaring. Get the scary movie experience and celebrate the fear of fall. Put your scaredy cat in its cage and prepare to be terrified. After shuffling through a haunted corn maze full of chainsaws and “boo!”s, continue to 10 haunted houses. These aren’t for the weak; at least one group is escorted out each night. $14–21; Friday and Saturday dark–11 p.m., Sept. 25–Oct. 31; Monster Corn Maze, 181 State Route AM, Cabool. For more information, call 417-962-2676 or visit monstercornmaze.com.